They were a typical 1920s Iowa farm family with a bumper crop of sons who someday would provide free labor:Elwood, Leo, Harris, Lloyd, Kenneth, and Otis. One more came along a couple years later, Paul, and that was the end of that for one unfortunate reason: Giving birth to Paul proved too much for the boys’ mother. Her death splintered the family. Half of the boys were shipped off to their father’s parents and the remainder went to live with their maternal grandparents. There they fulfilled their childhood obligations of free farm labor, forgotten by their father. Years passed. The older boys married and started their own lives. 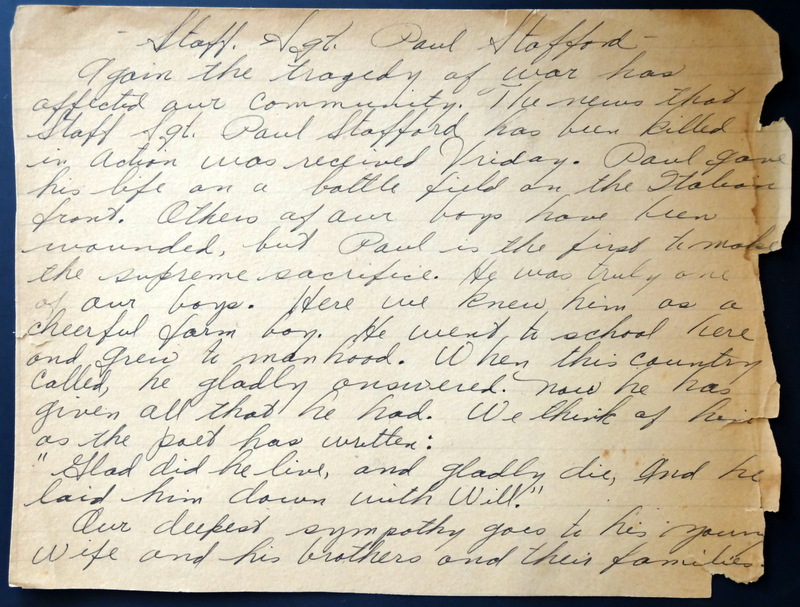 Paul moved in with Otis and his new bride, Mable, who came to think of the young man as her own little brother. 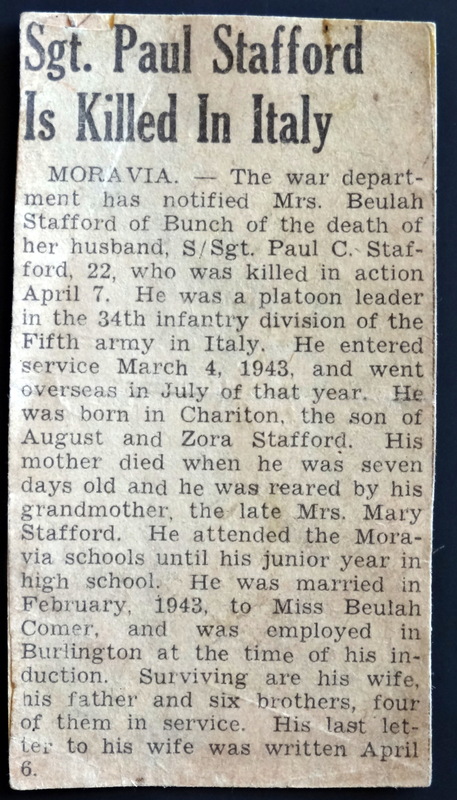 He in turn called her “Sis.” She loved his sense of humor and his happy disposition. They were three heartland kids, just starting to find their footing in a Depression era Midwestern farm town. War loomed. Paul found himself a member of an Iowa National Guard regiment: the 34th Red Bull infantry division. The Red Bulls trained hard, and as a result were flagged as one of the most combat ready groups in the Guard. Nearly a year prior to the Japanese attack on Pearl Harbor, the 34th had already been activated. The Red Bull division spent the bulk of ’41 training for a war that the U.S. wasn’t even involved in. Paul joined the Red Bulls in March 1943 and headed to Europe four months later. 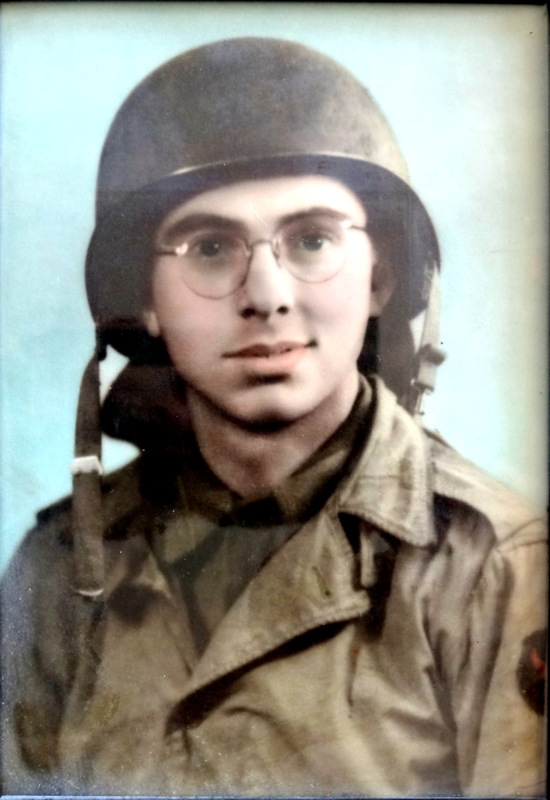 A hand-tinted photo of Paul in his infantry uniform could be mistaken for M*A*S*H’s Radar O’Reilly, his sweet, baby face shining behind gold rimmed glasses. No hint of the brutal training that led to over half of the Army’s first ever Rangers being pulled from the Red Bull division appears in Paul’s kind smile. For the next two years Paul and the rest of the 34th battled Hitler’s army. 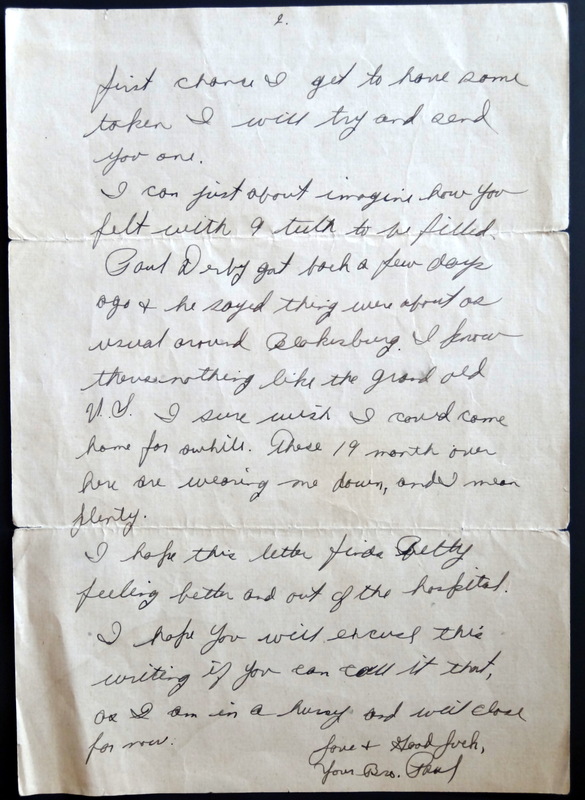 Mable and Otis tracked the war’s progress with push pins on a map they hung on the living room wall. Each letter home added a new pin to the map. When Otis and the other brothers deployed their pins were added, too. Nobody was forgotten. Literally no Army division amassed more days of front line combat than the Red Bulls. Overall the 34th spent 517 days engaged in actual combat, with some units racking up 611 days. Their first battle occurred in November ’42 and their last in April ’45. Over that 30 month period, the Red Bulls spent over 17 months embroiled in battle. The sweet baby face was replaced with that of a killer’s as Paul rose in rank to staff sergeant. What horrors he must have seen. 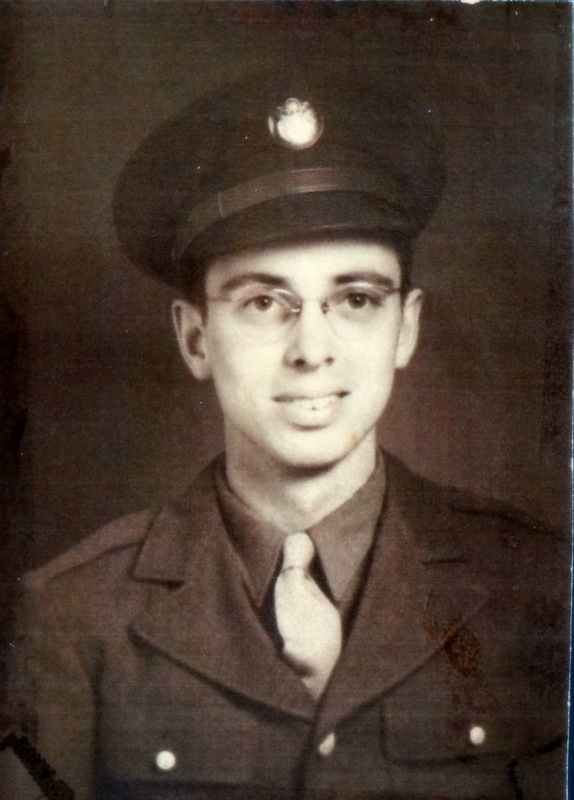 Like his younger brother, Otis landed in the Army infantry. 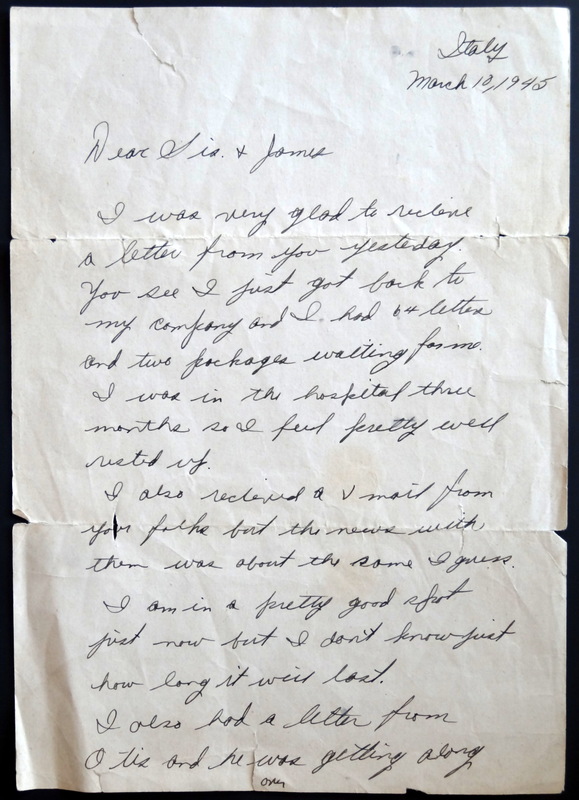 The two kept in touch best they could via letters. Both were fighting the Germans, but their wars never intersected. On May 2, 1945, German troops in Italy surrendered. This was welcome news to Otis, as last he heard Paul was in Italy. He eagerly awaited news from his little brother. 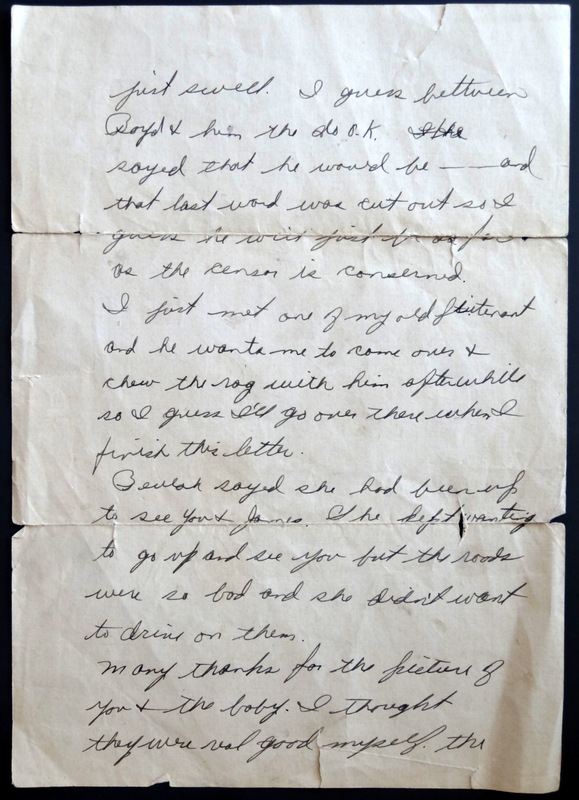 It came eventually in the form of Otis’s most recent letter to Paul, returned to him as undeliverable. 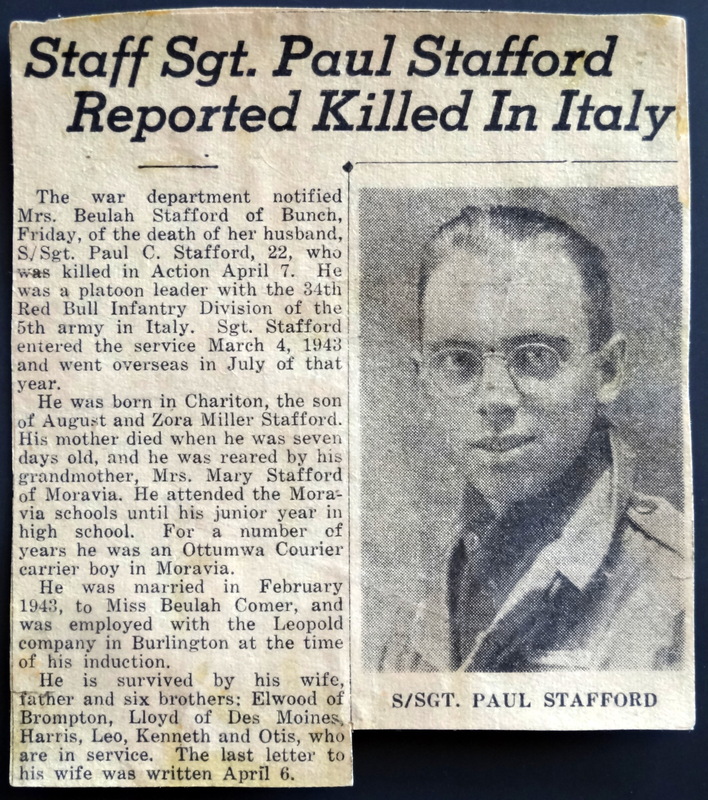 Stamped on the envelope was the word “Deceased.” Paul survived nearly two years in World War II’s European theater with the division that spent more time on the front lines than any other, but in Italy’s Po Valley during the German Army’s last desperate push, the boy from Iowa took a bullet to the head. If only he could’ve kept his head down for three more weeks. If only Otis hadn’t stumbled onto Mauthausen. If only the war hadn’t completely altered the trajectories of the brothers’ lives. Paul was forgotten for 35 years, at least publicly. His family certainly remembered him, but like everything else about that war he wasn’t spoken about, at least not by Otis and Mable. Some war wounds refuse to heal. And then their grandchildren found a photo mixed in with some other odds and ends, which was rare in Otis’s house. The man couldn’t stand clutter and was notorious for burning anything that wasn’t nailed down. “Who is this, Grandpa?” I asked. 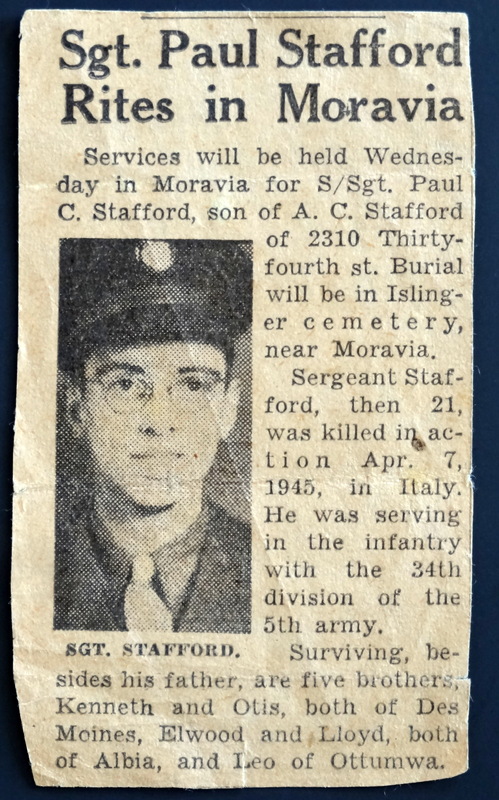 “That’s your great uncle Paul,” he said, and he took the picture from me. “I didn’t know I had an uncle Paul,” I said. He grabbed a framed photo that was nearby and slid Paul’s photo over it, then he cleared a spot on the shelf behind his bar and placed the picture there. “Yeah” was all he said. Nothing else needed to be said. Paul would never be forgotten again. Sometimes in conversation California, even Sacramento, comes up. Sometimes the conversation leads me to say that I have a friend out there who’s a writer. You prove me right all the time. This was beautiful, my friend. Thank you. Well written as ever James. Jeez he only looks about 15. Obviously went far too young but unlike some of the wars that followed his was a just cause.